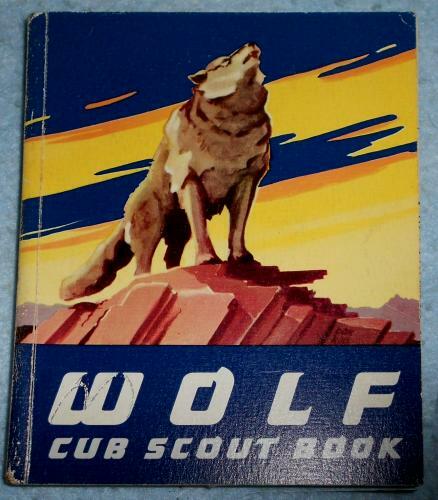 I was never a Cub Scout or Boy Scout: I don’t remember why. But quite a few of the guys in my neighborhood were, as the local Catholic School had troops of both Cub Scouts and Boy Scouts. So, I had chances to read Boys’ Life, the official Boy Scouts’ magazine. I found it both an interesting and fun magazine. Interesting because it contained articles on topics I was trying to learn about anyway, and fun because it contained comics. I recently bought a copy of the October, 1962 issue from an antique shop, so let’s see what it can tell me and all you Roadtrip-'62 ™ readers about the Boy Scouts and our favorite year. The magazine immediately reminded me of things that interested me when I was around 10 years old: science, stamp collecting, sports, and mapping. And I can see that articles on hiking, camping, guns, model building, and future employment would interest other boys of the time. There were also ads on the same topics, and other ads that would be useful for parents or scout leaders, such as ads for military schools, guns, and how to train boys. And of course, there’s comics! The issue starts with a cover photo by Ansel Adams, America’s premier outdoor photographer, which is the teaser for an entire article illustrated by his photos inside. Philmont was established in 1938 as Philturn Rockymountain Scoutcamp. The site, just a few miles off US-64 near Cimarron, New Mexico, is one of four major outdoor bases owned by the Boy Scouts of America. These are Northern Tier, located in Minnesota, Manitoba, and Ontario; Philmont Scout Ranch, New Mexico; Sea Base, Florida; and Summit Bechtel Reserve, West Virginia. The Scouts’ attention to low-impact camping techniques has helped maintain the Philmont Scout Ranch's wilderness, which is displayed well in the photos. The article discusses daily life for the Scouts at the ranch, with burro trips into the hills, camping, hiking, target shooting, and fishing, all designed to give the boys a sense of self-reliance and respect for nature. But it’s the photos that I found most interesting. The cover photo is the only one in color, all the rest are in Ansel’s favorite medium, the black-and-white photograph. They fit the format of the magazine perfectly, as most of it is also in black-and-white (magazines had not yet become all color in 1962 due to high cost). My favorite photo of the article is a two-page spread showing the low hills and cloudy sky of New Mexico, where the sky takes up about 2/3 of the photo. It perfectly displays the vastness of the American west and makes me yearn for another roadtrip. Hobbies are a major topic in the issue, with the ‘Hobby Hows’ column discussing hiking tips, card tricks, and collecting records, toy soldiers, fossils, and even carnivorous plants. Seems like boys will collect anything! A full page ad adjacent to the column highlights the Cam-A-Matic cam steering system for model cars. Hobbies make their appearance throughout the magazine and that was one of the most interesting features for me and other boys reading it. There are plans for an HO scale building for your model train layout, an ad for Aurora’s plastic monster models and Pyro’s plastic ship models, metal-crafting tips, and a full page of stamp collecting information and ads. I instantly recognized the Big Bag of Foreign Stamps for $1 from H.E. Harris, that I bought one of around 1962! Some informative articles are included, such as one about chimpanzees, one describing exercises you can do to build muscle tone, and a couple on working with compass and maps for hiking. An article about the value of space exploration proposes a space-based missile interception system which sounds very much like the so-called “Star Wars” system proposed by President Reagan in the 1980s. The article also notes that much of the research needed to create the systems for space travel will bring benefits to things we do on earth. For example, Corning Glass Company uses a ceramic material developed for space capsule nose-cones as a new type of ovenware. And methods for creating solid state circuits will allow miniaturization of electronic components for computers, allowing room-sized computers to one day sit on your desk. Looks like they got that one right! Stamps of 1962 from Afghanistan and Portugal commemorating the Boys Scouts and a 1962 United States stamp commemorating the Girl Scouts. Not everything can be fact-based or real life though: there are three fiction articles in this issue. One is a sports story about the school science nerd going out for the football team. Another is an adventure story of an escape from a moose herd in Montana. There’s even a short story that includes Daniel Boone. The issue also includes a letters page with readers’ letters, a discussion on the upcoming 1963 Boy Scout World Jamboree to be held in Greece, and an article about a road rally that a troop of Explorers held in Delaware, criss-crossing the area around US-202 that I discussed a couple of weeks ago. Many people forget that the Boy Scouts include a bracket for high school boys, the Explorers. But in August, 1962, the first National Explorer Delegate Conference in Ann Arbor, Michigan was attended by over 3,000 high school boys, representing over 286,000 members nationwide. Go back a minute, you say: Boy Scouts in Greece? Actually yes, the Boy Scouts are a worldwide organization. The Boy Scouts originated in Great Britain in 1908, when Robert Baden-Powell, a lieutenant general in the British Army, wrote his book “Scouting for Boys” and held an encampment to test ideas for the book. The next year, American businessman W. D. Boyce was visiting London, where he was helped by a Scout and decided to learn more about the organization. After he met with staff, he founded the Boy Scouts of America (BSA) in the United States in 1910. Many other countries also have or had Boy Scout organizations, including Greece as noted above, and Afghanistan and Portugal as seen on postage stamps. Times of war and political upheaval can be rough on Scouting organizations, as is seen in the history of the Myanmar Scouts Association. Myanmar was previously known as Burma, and scouting there began in 1922. Boy Scouts and Girl Scouts in Burma merged in 1962 to form the Union of Burma Boy Scouts and Girl Guides. Just two years later, General Ne Win led a military coup d'état and the new government dissolved the scouting organization. The assets of the Union of Burma Boy Scouts and Girl Guides were turned over to the Ministry of Education, which then formed its own socialist youth organization within the Burma Socialist Programme Party. Since recent reforms in Myanmar, though, a new scouting organization was formed in 2012 and is now a member of the World Organization of the Scout Movement. Besides the articles, the ads in the issue are also interesting. There are plenty of ads for official Boy Scout merchandise: clothing, accessories, shoes, and medals. The U.S. Air Force has a recruiting ad. General Motors, Bell Telephone, Eastman Kodak, and Chrysler all have full-page ads designed to interest graduating Scouts in applying for work at the companies. There are ads for guns, and not just B-B guns, ads for sports equipment, hiking equipment, acne medicine, dozens of small ads for hobby supplies and novelties, and even a color cartoon ad for US Savings Bonds featuring Rocky and Bullwinkle! One group of ads is strictly targeted to parents, the half-page of ads for military academies. There are even a couple of contests to enter, including the Boys’ Life Switzerland Contest, where you can write an essay and maybe win a trip to Switzerland. Abraham Ribicoff, the US Secretary of Health, Education, and Welfare issued a big challenge to the Boy Scouts in 1962 and advertisers responded. Picking up President Kennedy’s interest in promoting physical fitness, Ribicoff launched the “Fit for Tomorrow” program. Hickok Manufacturing, a maker of belts, jewelry, gifts, and accessories for men and boys, mentioned the President’s call to fitness in their ad in this issue and that the company was sponsoring professional sports figures as speakers who may come to your city. I’m figuring that many ads in Boys’ Life were effective because there are several clipped out of this copy and apparently mailed in for merchandise. Finally, there is just fun stuff, like a jokes page and a color comics section. (I did mention comics, didn’t I?) The first comic page features Pee Wee Harris, a Boy Scout who, with his friend Westy, gets into improbable trouble each issue. He began as a series of novels in the 1910s and 1920s by Percy Keese Fitzhugh, and his name was originally spelled Pee-wee. In Boys’ Life cartoons, he was written and drawn by Bill Williams from 1952 to 1963. There is also a True Story of Scouts in Action, which highlights the brave or kind acts of a Scout each issue. In this issue, Assistant Scoutmaster Nelson LaPlante saves a couple of children in a runaway car and is awarded the Certificate of Merit. Then, there is the Tracy Twins by Dik Browne, who is more widely known for his Hi and Lois and Hägar the Horrible newspaper strips. Browne won the National Cartoonists Society Reuben Award for Hi and Lois in 1962. One more humor strip in each issue is Rocky Stoneaxe, by Mal Eaton. In this strip set in prehistoric times, an elder fills Rocky’s head with tall tales. This strip originally ran under the name Peter Piltdown from 1935 to 1946, but had a name change when it moved to Boys’ Life. A Bible story fills out the color section, this month is the story of Nebuchadnezzar. The heyday of the Boy Scouts seems to be past, as membership has fallen since about 1970. I imagine the main cause is the aging of the Baby Boom generation and lack of enough boys to join. Cleveland, Ohio notes that their troops peaked at 35,340 in 1965 despite new programs for disabled and inner-city boys that came after that. In recent years, controversy about homosexual troop leaders has hit the news, and may have hit membership. The Mormon church, the largest sponsor of Boy Scouts troops in the United States, recently announced that it is pulling older teenagers out of the organization, as the religion takes a step toward developing its own global scouting-like program. That move alone will take an estimated 130,000-180,000 teenagers ages 14-18 out of the Boy Scouts of America. But it’s been fun to visit the Boy Scouts in 1962! Come back another time and Roadtrip-'62 ™ may take a look at the Girl Scouts or Campfire Girls.